Getting Down Off a Duck's Back, Oh! Charlie, The Mother Bit, Army Drill, Higher and Lower and so many more. Each disc has been digitally remastered, beautifully restored and includes bonus features including Who's On First? 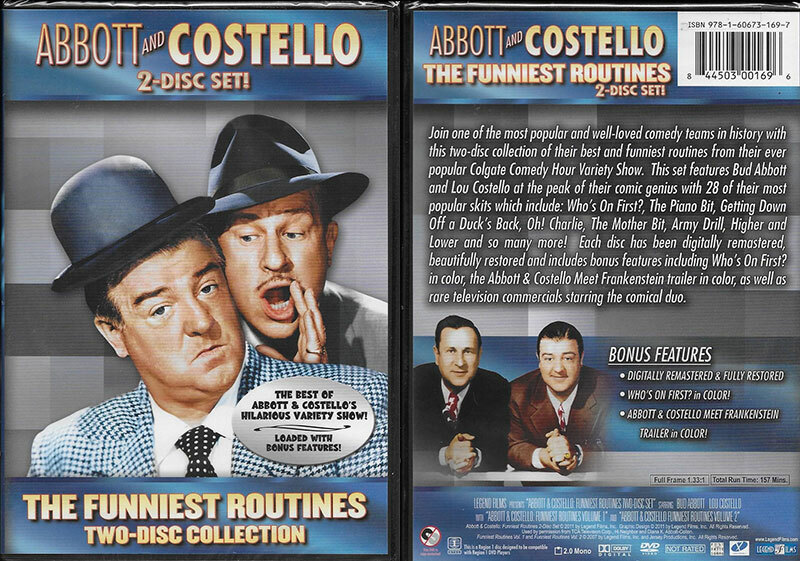 in color, the Abbott and Costello Meet Frankenstein trailer in color, as well as rare television commercials starring the comical duo.